Joseph Raabe's first name is often written as 'Josef' while his second name is sometimes written as 'Rabe'. Since his parents were poor, Raabe did not have the educational opportunities as a young boy so he had to learn mathematics largely working on his own. He was a very able young lad and was well able to earn a living as a private tutor of mathematics while he himself studied more advanced topics. By the age of nineteen, he had made enough from tutoring to travel to Vienna where he continued to fund himself by giving private tuition but, at the same time, he was able to study mathematics at the Polytechnikum. In Vienna, Raabe was inspired by Johann von Littrow (1781-1840), who encouraged him to submit his work for publication in August Crelle's Journal für die reine und angewandte Mathematik which began publication in 1826. Von Littrow had studied at the Charles University of Prague, spent a period in Russia, and had been appointed professor of astronomy at the University of Vienna in 1819, shortly before Raabe arrived in that city. He became director of the first university observatory in Vienna and is remembered today through a crater on the moon that is named after him, and for the Littrow map projection. He published a paper in Part 3 of Volume 1 (1826) of Crelle's Journal and Raabe's first paper in that journal, entitled Allgemeine Theorie der Epicykeln Ⓣ, appeared in Part 4 of Volume 1. It is worth noting that his name appears both in the index and on the paper as "L Rabe of Vienna" but there is no doubt that this paper is by Joseph Raabe. In the second volume of the journal, published in 1827, Raabe has five papers: Über den Stillstand der Planeten Ⓣ; Sphärische Polygonometrie Ⓣ; Eigenschaften der Curven, die sich auf bestimmten Oberflächen befinden; letztere zu beweisen Ⓣ; Untersuchung über die Directrixen der Curven Ⓣ; and Gleichungen der zweiten Ordnung in der Geometrie Ⓣ. He also has a a contribution in Aufgaben und Lehrsätze, erstere aufzulösen Ⓣ. Again we should note the different ways that his name appears in the volume. For example, for the paper Sphärische Polygonometrie Ⓣ his name appears in the index as "L Raabe", but on the paper itself as "Joseph L Rabe". For the paper Eigenschaften der Curven Ⓣ his name appears in the index as "J Raabe", but on the paper itself as "L Raabe", while for the paper Über den Stillstand der Planeten Ⓣ his name appears in the index as "L Raabe", but on the paper itself as "Joseph L Raabe". The first cholera pandemic to hit Europe started in 1829 in Moscow and St Petersburg and, over the next couple of years, spread through Poland, Germany and Austria. The disease was a major killer and spread panic through the population of the cities that it reached. By the autumn of 1831 it had reached Vienna and Raabe had no option but to stop giving his private mathematics lessons. He wanted to go to Munich and habilitate at the University there but he had a good friend in Vienna, the astronomer and geodesist Johannes Eschmann (1808-1852), who persuaded him to go instead to Zürich. Eschmann was Swiss, growing up as orphan in Winterthur, and had studied mathematics, astronomy and geodesy in Zürich, Paris and Vienna. He was studying under Johann von Littrow in Vienna when he became friends with Raabe. Eschmann and Raabe went to Zürich and Raabe found a home there and a position teaching mathematics at the Gymnasium. In 1833 the University of Zürich was founded by J K Orelli, and Laurenz Oken was appointed as its first rector. They made two inspiring appointments as privatdocent in mathematics, Gräffe and Raabe. Johannes Eschmann, Raabe's friend, was appointed to a similar position in astronomy. an/an+1 = 1 + s/n + o(1/n) where s is a constant. Then the series a1 + a2 + a3 + ... converges if s > 1 and diverges if s < 1. It is inconclusive if s = 1. This test, which is an extension of d'Alembert's ratio test, often succeeds for series in which the terms contain factorials, where d'Alembert's simple ratio test is inconclusive. In 1836 the University of Zürich appointed a professor of mathematics but the chair was not given to Raabe but rather to Anton Müller, a somewhat undistinguished mathematician. Not only was Raabe passed over, but so was his fellow docent, the talented Karl Heinrich Gräffe. Over the following years, Müller published no research of any merit while both Raabe and Gräffe continued to produce highly significant contributions. Raabe's work on the Bernoulli polynomials deserves special mention. He wrote two major papers, a 52-page one in 1848 entitled Die Jacob Bernoullische Function Ⓣ and a 30-page paper Zuruckfuhrung Einig Summen und auf die bestimmten Integrale Jakob Bernoullische Function Ⓣ published in 1851. The term "Bernoulli polynomials" was introduced by Raabe in this paper of 1851. We should also mention the important 3-volume treatise Differential- und Integralrechnung Ⓣ (Zürich, 1839-47) which can still be purchased today, and the 2-volume Mathematischer Mittheilungen Ⓣ (1857-58). He also published Was ist der Gegenstand der Mathematik? Ⓣ in 1853. In 1855 the Eidgenössische Polytechnische Schule was founded in Zürich (this institution was, in 1911, called the Eidgenössische Technische Hochschule or the Swiss Federal Institute of Technology). Raabe was appointed as a professor at the Eidgenössische Polytechnische Schule in the year of its founding, but he did not hold this chair for long since he left his chair in 1858 and died in January of the following year at the age of 57 years. 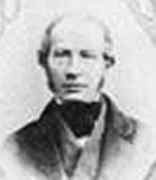 Richard Dedekind applied for Raabe's chair and was appointed in the spring of 1858, taking up the chair in the autumn of that year.